“It’s 7:30 a.m. and an eerie bugling sound echoes through the valley. Mist hovers overs the open fields, hardwoods rise sharply toward the first light just edging over the mountain peaks. My heart is racing. More bugling, then another off in the distance. 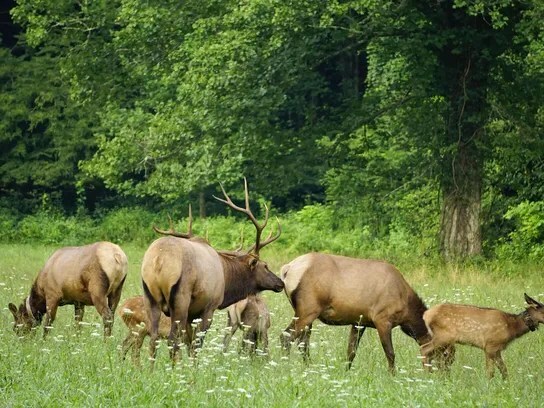 September is prime time for The Rut, breeding season for elk and deer worldwide. That makes it a great time for photographers to shoot some real action. 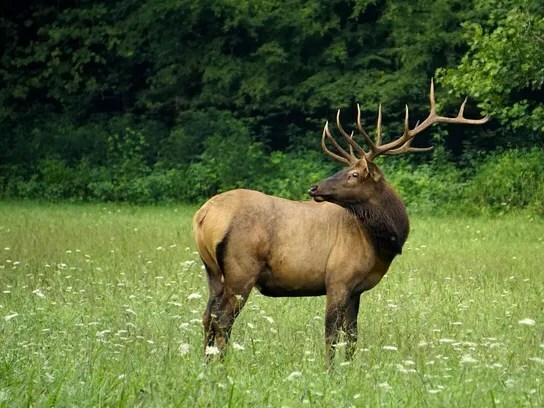 In defense of their “harems” of cows and calves, the bulls (male elk) bugle and rub trees, shrubs and the ground with their antlers to intimidate other bulls, occasionally waging battle. 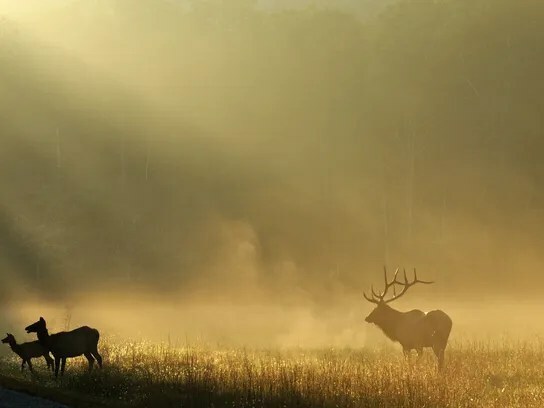 Here in the mountains of North Carolina, elk put on their annual show in the Cataloochee Valley in Great Smoky Mountain National Park, a site WNC photographer Bob Grytten knows well. 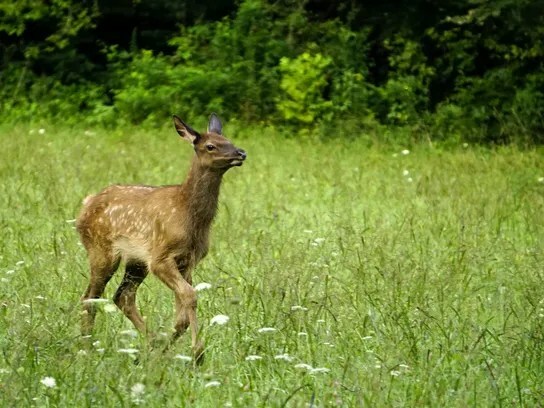 Grytten is known for his nature photos and leads field photography workshops in the mountains. He’s also leader of the Lens Luggers, an informal group of graduates from his workshops and other photographers. 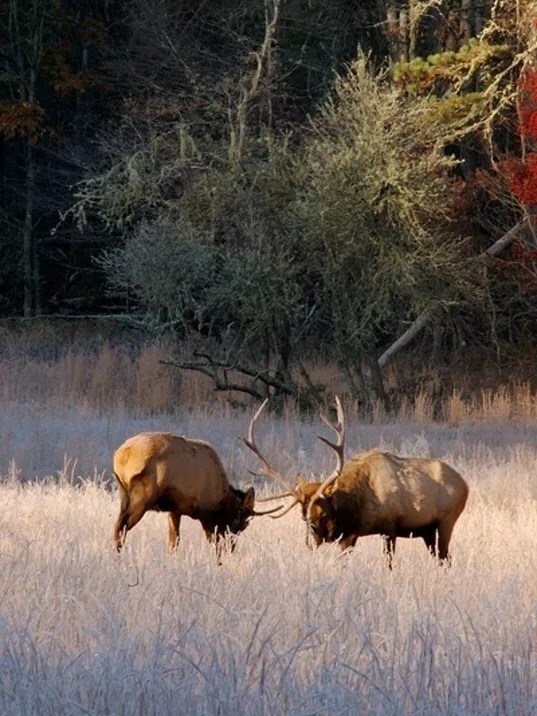 For information on tips to photograph the elk or deer — or just to watch them — contact Grytten at bobgry@aol.com or 828-627-0245. Next When does traditional Photography slip into something more sensual?